BMW 4 Series Convertible Review 2019 | What Car? Take a casual glance at the BMW 4 Series Convertible and you could be forgiven for thinking it was actually the fixed-roof coupé version. That’s because BMW has chosen to give the open-top model a folding metal roof rather than a cloth one. This is great for keeping noise out on the move, but not so great for the amount of added weight you need to cart about. There’s a choice of six engines, two trims, a manual or an automatic gearbox, plus two or four-wheel drive. Ultimately, BMW should have all of your needs covered. That said, there are some tempting alternatives out there vying for your attention. The Mercedes-Benz C-Class Cabriolet is a similarly premium offering, while Audi has the open-top A5. 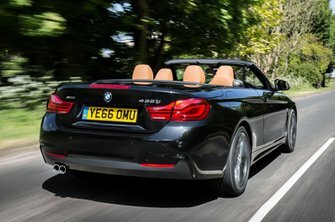 So, should you choose the 4 Series Convertible over those rivals? And, if so, which engine and trim should you go for? That's what we'll be looking at in this review. 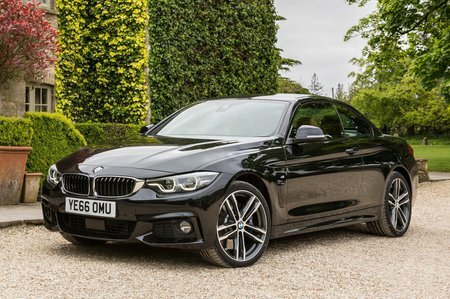 And remember to head over to our deals page for the very best 4 Series Convertible prices once you're done.